This panel welcomes papers on the political economy of diversified business groups (DBGs) or 'conglomerates' in Africa. DBGs include party-affiliated companies, family-owned companies or JVs between domestic and international investors. Cross-country comparisons of DBGs are also welcome. Following independence in Africa, scholars devoted much attention to detailing the emergence of local businesses and capitalist classes. A central debate in the literature concerned whether emerging capitalist classes were 'comprador' or showed signs of leading structural transformation. Answers to this question were, and continue to be, largely negative. Even as industrial policy has become fashionable again, the focus has been on foreign investors rather than existing local businesses. Moreover, much of the literature assumes that African capitalists are unproductive and incapable of leading capitalist transformation in their countries or worse, that local capitalist classes simply don't exist. Yet, there is substantial evidence that many diversified business groups with extensive local participation have emerged in almost every African country. How did these DBGs arise? What are their characteristics? Are they dependent on the state or wholly separate from it? What is the balance between local and foreign capital? This panel welcomes papers that use mixed methods, case studies, and cross national comparisons to answer these questions. We are particularly interested in exploring those economic sectors where DBGs with substantial local investment are found; the features (if any) of their linkages with politicians, state agencies and foreign investors; and whether DBGs are welfare-enhancing or still conform to the previous "rent seeking" stereotypes. 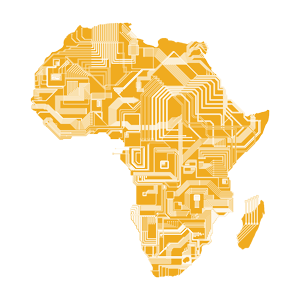 In drawing scholarly attention to these aspects of DBGs, we seek to understand more clearly the origins and the consolidation of businesses with roots or shareholders on the African continent, but who may also be expanding beyond the continent.